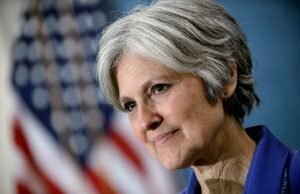 Green Party candidate Jill Stein (Disclosure: I voted for Stein) is calling for a recount in key states, and has raised some $3 million for that purpose. Her funding page estimates the total cost, including lawyers, will be $6-7 million. There is a lot of media being generated by all this, but I haven’t found anyone who did some math. Here it is. The deadlines in the three key states Stein is seeking recounts for are fast approaching. This Friday, November 25, is the deadline for requesting a recount in Wisconsin, where Trump’s winning margin stands at 0.7%. In Pennsylvania, where his margin is 1.2%, the deadline falls on Monday. In Michigan, where the Trump lead is 0.3%, the deadline is Wednesday, November 30. Because of the numbers (below) if Stein fails to file in all three states for a recount, there is no way for Clinton to win. To date, no other candidate has publicly called for a recount. It has been over two weeks since the election. As for electoral votes, Pennsylvania has 20, Michigan 16, and Wisconsin 10. Trump won 290 Electoral College votes to Clinton’s 232. If all three states’ votes went fully to Clinton, and all electors voted “faithfully,” Trump would lose the electoral vote. A recount could yield more votes for candidates other than Clinton; the presumption is that any “hacking” unfairly favored Trump. Scenarios, such as Wisconsin only going to Clinton, would not change the final election outcome. If Michigan and Wisconsin alone went to Clinton, neither candidate would have the required 270 electoral votes to win. Current vote counts show Trump leading by about 27,000 votes in Wisconsin, over 68,000 in Pennsylvania, and more than 10,000 in Michigan. In some ways not massive leads, but they’d all have to go Clinton’s way. If no candidate receives a majority of Electoral votes, the House of Representatives elects the President from the three Presidential candidates who received the most Electoral votes. Each state delegation has one vote. Thus a tie is technically possible. In reality, the state-by-state party tilt is decidedly Republican. There are clearly scenarios through which Clinton could win, but they seem long shots. So for the recount to change the results of the presidential election, the only reasonable scenario would be for all three contested states to shift their vote totals from advantage Trump to advantage Clinton. That would almost certainly trigger additional calls for re-recounts, as well as possible Supreme Court actions as with Bush v. Gore in 2000, or perhaps simply mass chaos across the U.S. It is unclear how long all this would take. Wisconsin states that if the vote difference is less than 2% (as it is), then the fee is $5 per ward. There appear to be 70 wards in the state, meaning the filing fee is $350, not the $1.1 million Stein is requesting for the state without legal fees. I cannot account for the discrepancy. The fees for the Michigan and Pennsylvania recounts are $500,000 and $600,000, respectively. These match with the amount requested.